I can’t tell you how pleased I am that we’re doing Starting Vanguard week – because it isn’t true in the slightest. I just want next week to roll as fast as possible so we can move to more interesting, greener pastures. 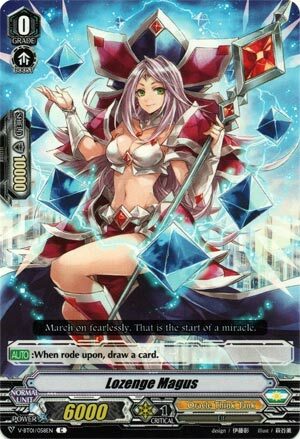 So anyway, enjoy your +0 wash vanguard: you could use the hare which does the same thing but you know, waifus. When rode upon … draw a card? Where do I sign up? Previous articleLysandre’s Trump Card – Joins the Pokemon Ban List!